KOEI TECMO America is pleased to announce today the digital release of Dynasty Warriors: Godseekers, a brand-new tactics style title set in the legendary Three Kingdoms period of Chinese history. The game is now available for the PlayStation®4 computer entertainment system and PlayStation®Vita handheld entertainment system. Featuring a wide selection of beloved characters from the Dynasty Warriors universe, Dynasty Warriors: Godseekers adds two new characters to the series’ ever-growing roster: Lixia, a girl with magical powers who was sealed in an icy shrine for centuries, and Lei Bin, Zhao Yun’s childhood friend and avid lore master! 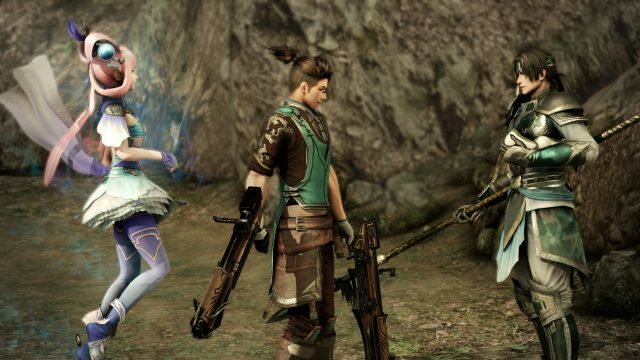 A selection of impressive costumes is available to those who purchaseDynasty Warriors: Godseekers within the game’s first month of sale, allowing players to further personalize their gameplay experience. Lixia can switch her standard costume for the “Diaochan” costume, while Guan Yinping and Lu Lingqi will receive special costumes sporting fox ears and tails. Taking cues from the fan-favorite Dynasty Tactics series, Dynasty Warriors: Godseekers utilizes a tactical gameplay system wherein players strategically move their units across a grid-based battlefield to defeat opposing forces. The game unfolds during the chaotic end days of the Han dynasty, a period in Chinese history when ancient China was overwhelmed by uprisings and internal strife within its imperial court. Renowned warrior Zhao Yun and his close friend Lei Bin unwittingly liberate a young girl, Lixia, from a mystical prison, and in their efforts to unravel the mystery behind her imprisonment, Zhao Yun and Lei Bin uncover a hidden, terrible fate. The two friends and the mysterious Lixia then find themselves entangled in a pivotal struggle for the salvation of the world, and take part in a battle that will echo throughout history.